ELIZABETHTOWN, KY--(Marketwired - Dec 13, 2016) - Venminder, a leading vendor management software and services provider serving banks, credit unions and mortgage companies, today announced that Todd Laughman has joined the firm as the Senior Vice President of Sales. In this role, Todd will oversee all sales operations and management, leading the expansion of Venminder's sales team nationwide. "I am excited to welcome Todd to the Venminder family," said Dana Bowers, CEO and Founder of Venminder. "Venminder has been experiencing explosive growth this year, doubling in size from the increasing demand for innovative vendor risk software and services by financial institutions as they seek out solutions to help meet the regulatory guidance. As a proven leader and industry veteran, Todd will help us build on our forward momentum and he will play a key role in executing on our growth strategy. Todd's client-first approach also aligns with our overall goal of driving value for our clients." Mr. Laughman brings a broad range of experience to his new position at Venminder. Most notably, Todd led the world-wide sales team at cybersecurity monitoring firm, Bitsight Technologies, to its first $30 million in revenue during two successive rounds of funding at increasing valuation. 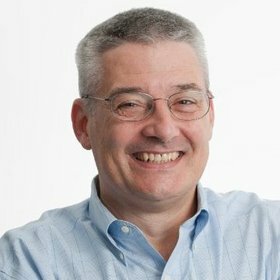 Todd has also held successful sales management positions at IBM, Q1 Labs, Rivulet and Symmetricom, and is a retired Air Force Colonel serving at multiple group commands in Logistics and Aerial Port Operations. "I'm thrilled to be joining Venminder and especially excited to take part in this next stage of expansion," said Todd Laughman, Senior Vice President of Sales. "Already serving hundreds of customers, Venminder has a significant opportunity to truly help financial institutions overcome the many challenges faced today in vendor risk. The firm's industry-leading technology and subject matter experts puts us in a strong position to get to that next level and fast. The company's impressive growth is proof that they have exactly what the industry needs." Venminder has seen tremendous growth having doubled in size in 2016. The new addition to the management team follows Venminder completing a $4 million Series B financing round led by Bain Capital Ventures earlier in the year. The firm plans to continue development of its robust vendor management software platform as well as to expand their team to support increased demand for outsourced vendor management support. Venminder has a team of due diligence experts who can significantly reduce your vendor management workload. The firm addresses the tactical challenges of vendor management tasks such as collecting compliance documentation, analyzing a vendor's financial health, deploying paralegals to assist with vendor contracts, reviewing a vendor's SSAE 16, monitoring a vendor's cybersecurity posture and much more. While financial institutions cannot outsource ownership of vendor risk, they can outsource the tactical work of assessing the risk. Venminder also has a software solution to organize, track and report findings to Senior Management, the Board of Directors and, ultimately, the examining bodies. It is a "must have" answer to meeting increasing regulatory requirements. The SaaS based software solution guides a user through critical processes such as risk assessments, due diligence requirements and task management. Visit www.venminder.com for more information.